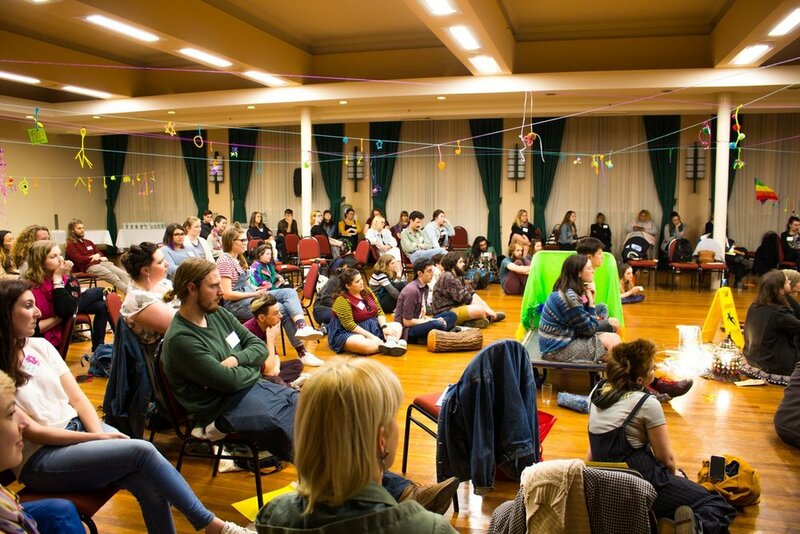 Last month I spent a wonderful four days in Newcastle, at the Arts Front U30 Symposium with 90 other passionate and concerned young artists from all around Australia. We came together to discuss and imagine the future of our industry, build networks, and plant the seeds of an open and prosperous sector. 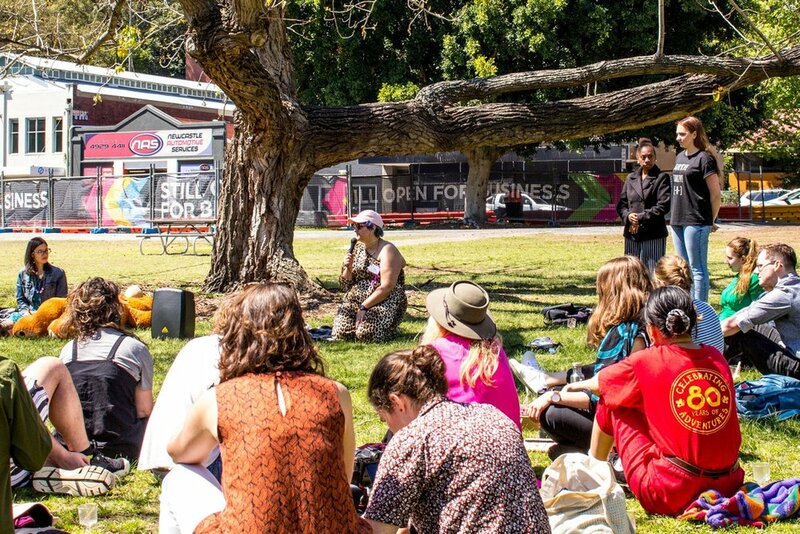 The event coincided with This is Not Art (TiNA), a festival that features experimental and emerging art, co-presented with the National Young Writers Festival and Crack X (a festival of new performance). Each day was filled with big ideas, playful and interrogative discussion, and creative risk-taking. I am both exhausted and totally inspired! There were two big topics that seemed to follow me around the symposium: diversity and geographical isolation. These are difficult issues, backed up by centuries of structural inequality. I saw how easy it is to get bogged down in problems, to get caught up in analysing the challenges and the imperfections in every idea. For example: criticising attempts at improving diversity by calling them a ‘checkbox’ approach and leaving the conversation on that disheartened note. I do believe that mandatory quotas and checkbox-based funding can help, while we work on building genuine relationships and interculturalism for its own sake. And over the second and third days of the symposium, we began to develop a multi-faceted approach. Not just about what can be done by those in power, but what we as artists and audiences can do to support other artists, how marketing can guide audiences to new stories, and how we can advocate for diversity within our communities and at all levels of government. The conversation was made all the more interesting by the contributions of participants from all around Australia: in addition to the expected Sydney cohort, there were representatives from other capital cities and regional areas. Despite our unique challenges and community demographics, we united through a shared vision for a more inclusive, accessible, nationwide creative industry. I found myself drawn to discussions about geographical isolation and reclaiming my Tasmanian roots. Growing up, it was a given that I’d have to move to the mainland to make anything of myself in the arts. I remember getting touring shows like hand-me-downs, feeling confined to traditional forms and genres, having amazing local artists but not local stories. And I’ve had so many opportunities in Sydney I would never have had back home. But now I wonder what could have been if younger Tabitha had had similar opportunities. What would a cultural scene that was as relevant, exciting, nurturing and galvanising as possible for its community look like? Sometimes as artists we spend all of our time fighting just to get work and thrive as individuals. But my time at Arts Front U30 has sown its seeds in my practice for a broader view, a better awareness of the ways art enriches our society, and a demanding conscience that the arts move towards equality, diversity and accessibility.